Stopped here after yoga class to pick up something to eat. 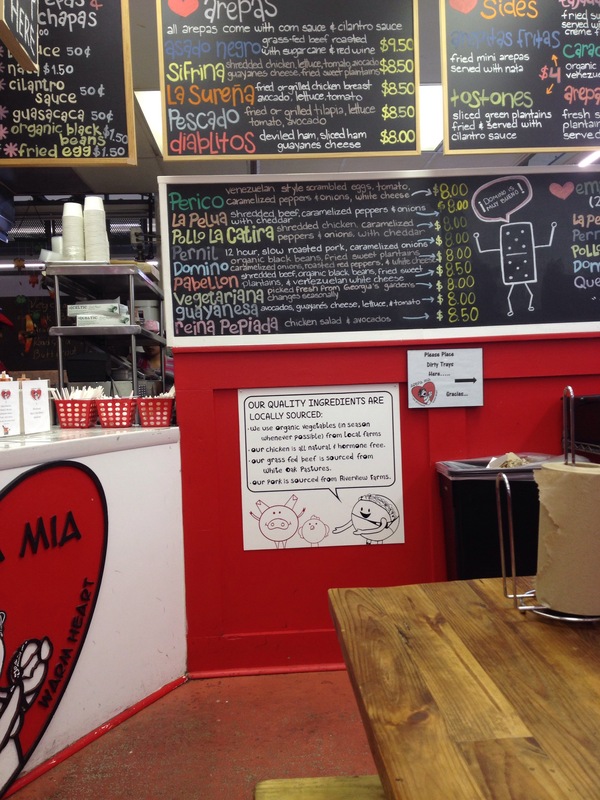 We wandered around and ended up getting arepas from Arepa Mia. They’re a delicious Venezuelan street food, made out of corn, that you can have stuffed with various fillings. Super delicious! We started with drinks. 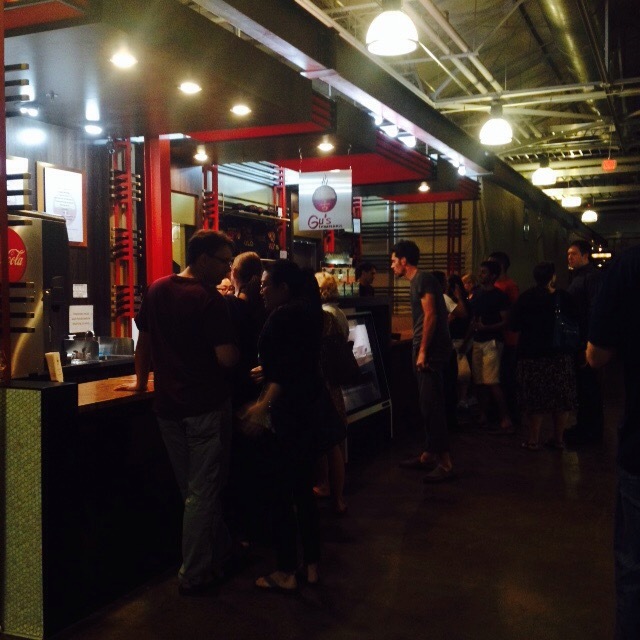 Hop City has a huge selection of beers and decent selection of wines. It was really popular even during the week. 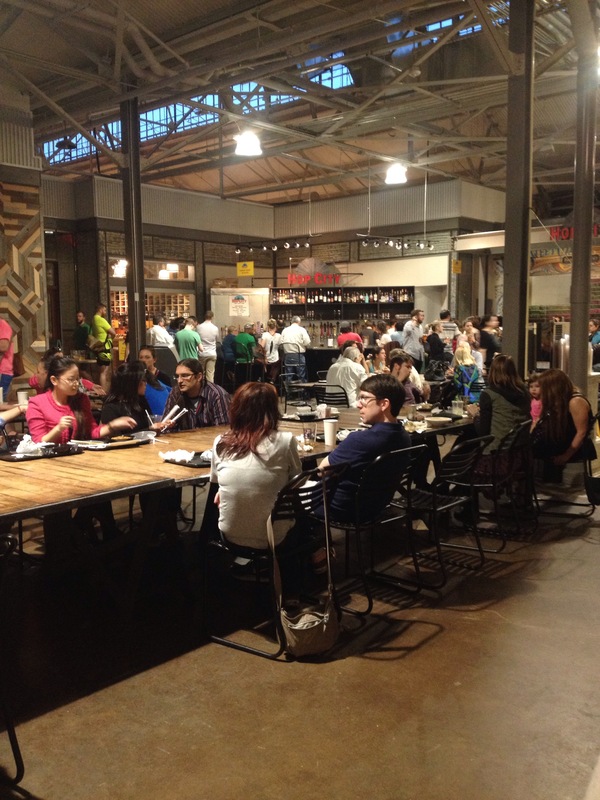 There were so many great places to eat in Krog Market that we ended up getting two dinners and splitting them- a catfish po’ boy from Franks and dumplings and a spicy chicken dish from Gu’s. Totally different cuisines, both mouth wateringly good. Although I could barely move at this point, we took a pint of Jeni’s goats milk cherry ice cream to go. I did manage to find enough room to have a taste. We took lunch to go from We Suki Suki, a hole in the wall storefront with amazing banh mi sandwiches. I had the vegetarian option and thought the seasoning and spices were perfect, but someone in our group for the pork version and was holding her glass of nice water to her mouth to cool it off. We went to Ria’s on a weekday, but I heard stories of waiting an hour to be seated on the weekend. 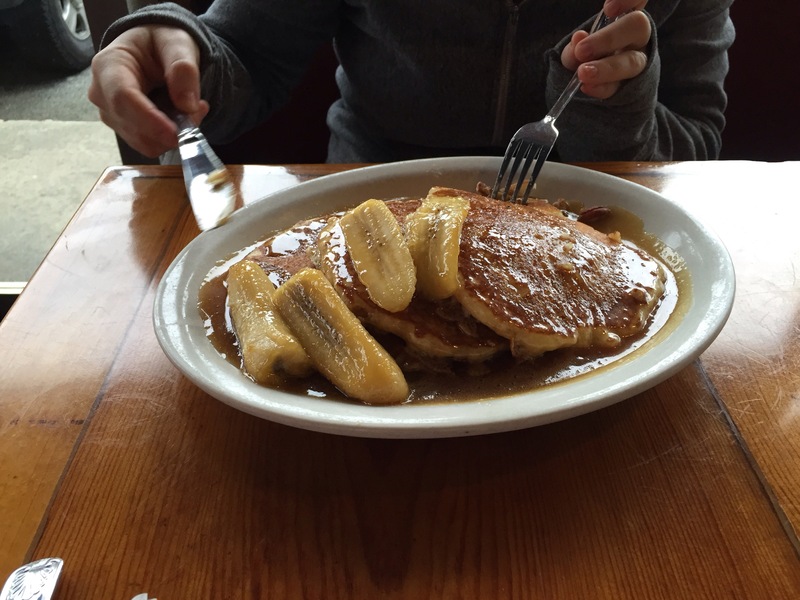 The food was delicious- we shared the tempeh biscuits and gravy and the pancakes with pecans and caramelized bananas. Both were huge portions and absolutely delicious! This Mexican restaurant is hidden in an unlikely industrial park, but even though the outside of the building looks pretty standard, the inside of the cantina is quite impressive. 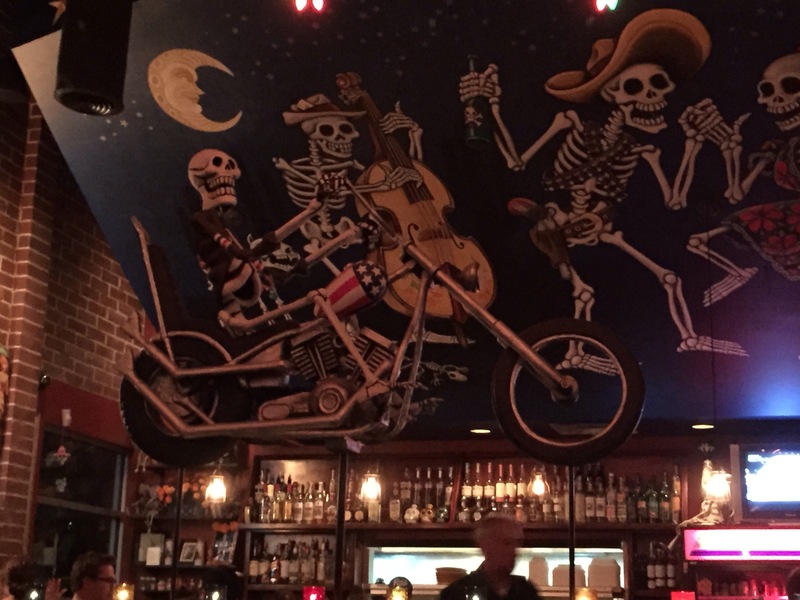 There is some amazing Day of the Dead art on the walls- I kept getting distracted by it during dinner. I had a really good mixed drink made with mescal which is pretty hard to find where I live. We ended up getting loads of dishes to share- chips and guac and queso to start, then ceviche, an empanada, tacos, enchiladas, and tamales. Everything was really good and fresh tasting, but the tamales were our favorite of the evening. 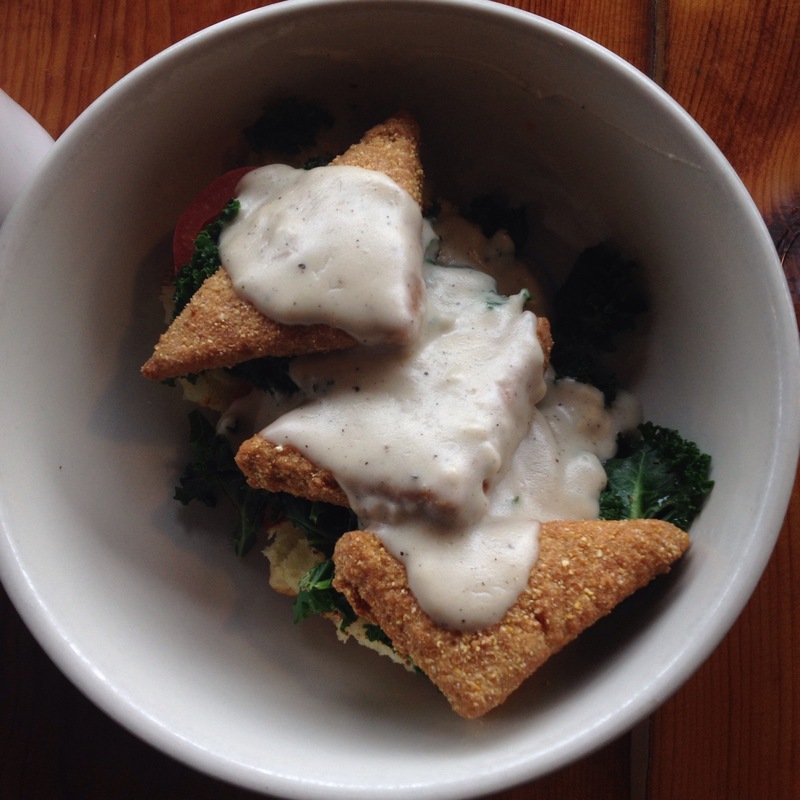 I would go back anytime to Atlanta to explore more (and eat more!). Hi, I'm Elle. I live in a small town in New England. I love to cook, bake, eat, be outside and active, and go on adventures. This entry was posted in Georgia, restaurant and tagged atlanta food, bone garden cantina, krog market, ria's bluebird cafe, sweet auburn market, we suki suki. Bookmark the permalink.